From werewolves to vampires to man-monsters, comics are packed with heroes and villains who have their bodies transmogrified. David Gallaher, co-creator of the High Moon werewolf Western series with artist Steve Ellis — which is getting the fancy remastered treatment from Papercutz later this month — picks the shape-shifters whose stories will transform you. As a kid, I was always intrigued by shape-shifters and other masters of disguise. Growing up, characters like Zartan, Clayface and Changeling were some of my favorites. Their powers weren’t flashy, they were subtle. There was something cool about the ability to transform one’s body literally and figuratively; to walk in somebody else’s shoes. Folklore, mythology, and fairy tales are littered with characters who, through innate ability, divinity, science, or magic, are able to transform their bodies into something far beyond their mortal form. The stories represented below are some of the most powerful and transformative narratives in comics. Characters who, often through no fault of their own, have found their bodies transformed into something else. 1. The Thing. The ever-lovin’ blue-eyed Thing is one of Stan Lee and Jack Kirby’s most beloved creations. Ben’s pathos and sheer anguish about being transformed from a handsome all-American individualist into an orange-hided monster resonated with audiences worldwide. 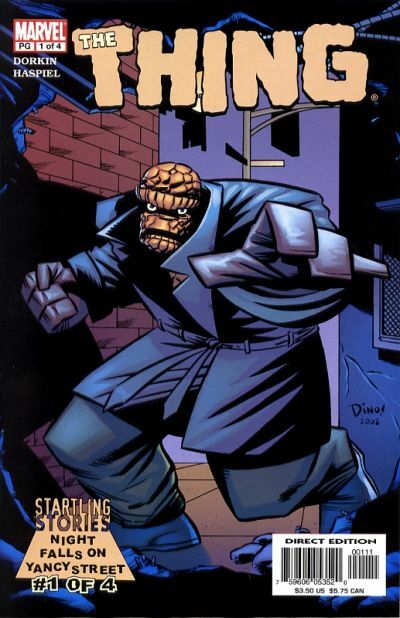 In The Thing: Night Falls on Yancy Street, award-winning creators Evan Dorkin and Dean Haspiel craft a fantastic noir that reflects both Ben’s own inner tragedies and the greed that drives good people to do bad, bad things. 2. Swamp Thing. Len Wein and Bernie Wrightson were beloved creators. Together, they developed a character who inspired dozens of writers and artists, from Alan Moore to Mark Millar to Scott Snyder. After Alec Holland invented a bio-restorative formula that could “make forests out of deserts,” he became the target of saboteurs. The resulting explosion transformed Alec into Swamp Thing. While others have done wonders with the character, the seeds of creativity were first planted in the original stories, collected as Dark Genesis. Gothic and somber, these tales will take root and flourish in your imagination for years to come. 3. The Hulk. While the Bill Bixby television series was my first exposure to the Incredible Hulk, it was Peter David who really taught me what a powerful character Bruce Banner could be. 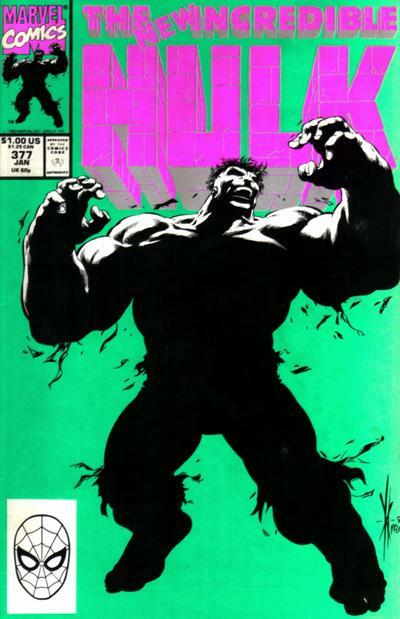 Paired with amazing artists like Dale Keown, Gary Frank and Todd McFarlane, Hulk under David’s pen was a deeply disturbed individual with a host of savage and insidious behaviors. The issue that truly transformed the Hulk in my eyes was Incredible Hulk #377, where all of the broken fragments of Banner’s personality are put back together in the form of the Professor. It’s a fascinating read that will change everything you thought about the Hulk. 4. Man-Bat. Dr. Kirk Langstrom, a noted chiropterologist, was developing an extract to give humans the same echolocation abilities utilized by bats. Foolishly testing the formula on himself, Langstrom became the horrifying Man-Bat. Created by Neal Adams and Frank Robbins, Man-Bat and Batman clashed on numerous occasions — but the story that really transformed the character in my eyes was Robin Meets Man-Bat. Produced by Arthur Korb and illustrated by Adams, this story was included as part of the Power Records book and record set. It’s a classic Batman story brought to life by an incredible soundtrack. 5. Black Orchid. When she first debuted in 1973, Sheldon Mayer and Tony DeZuniga surrounded Black Orchid in an aura of mystery. With an unrevealed origin and uncertain background story, she languished in obscurity for years until Neil Gaiman and Dave McKean took a chance on reinventing her. 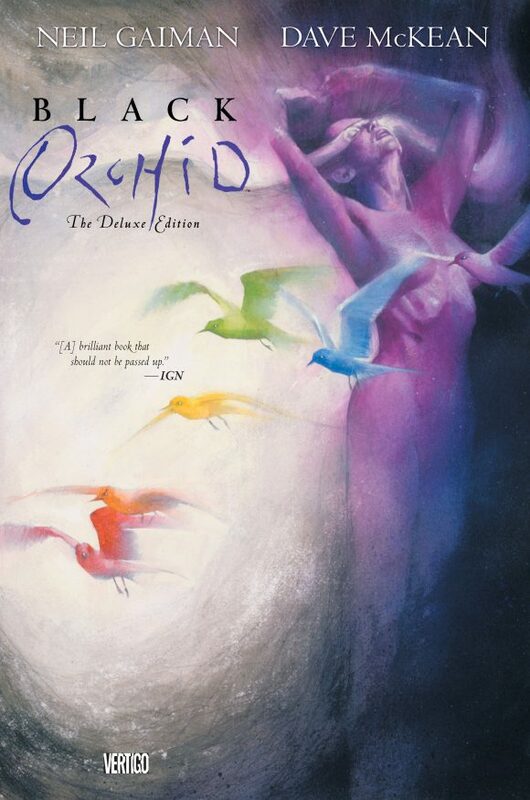 Featuring spectacular painted art by McKean, the Black Orchid Deluxe Edition expands on the character’s origin and delivers an opening sequence that shatters what you thought you knew about superhero comics. 6. The Beast. “Oh my stars and garters!” After years of adventuring with the original X-Men, the Avengers and the Defenders, Hank McCoy founded X-Factor. As the bouncing blue Beast, he used his astonishing intelligence and jocular exclamations to foil a far range of fiendish foes. Unfortunately, however, during the course of his x-ploits, Beast found himself incapacitated and rendered human and intellectually inept. 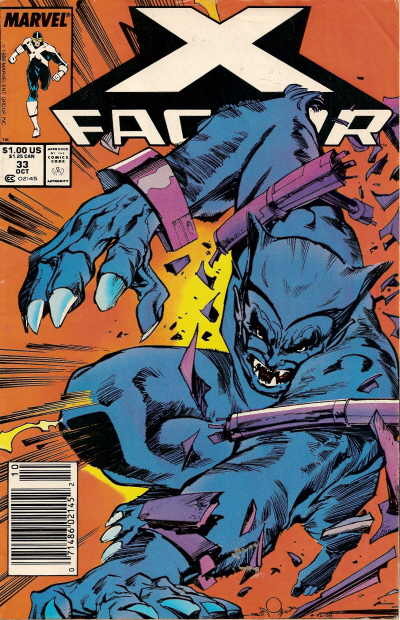 Thankfully, Louise Simonson and Walt Simonson brought the real McCoy from his state of torpor — returning him to his blue-haired, big-brained self in X-Factor #33. 7. Howard the Duck. 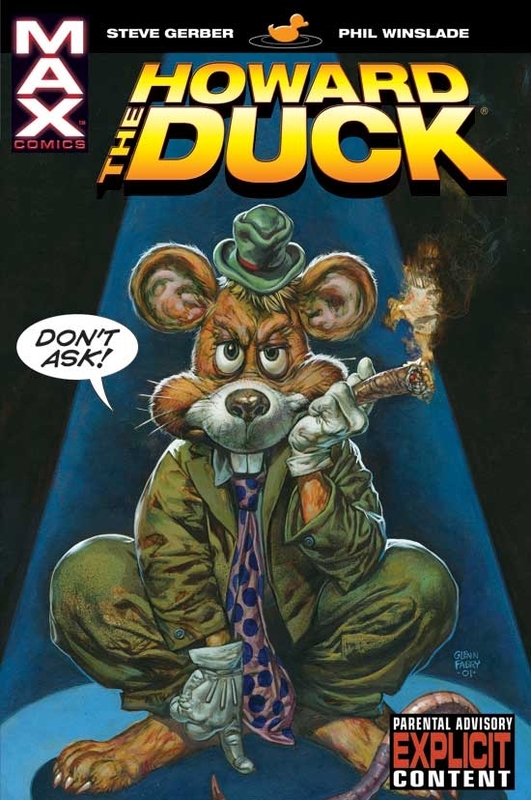 In 1973, comics creators Steve Gerber and Val Mayerik ripped an average, unassuming duck named Howard from his home dimension and plopped him into the Marvel Universe. At the time, the influence of underground comics was bleeding into the mainstream scene and Howard was at the epicenter of it all. The series was a humorous rumination on superheroics, politics, social issues and popular culture. In Howard the Duck: Making the Band by Steve Gerber and Phil Winslade, Howard undergoes a bizarre series of shape-shifting experiments and discovers the hidden conspiracy behind how boy bands are made. It’s startling social commentary that still resonates today. 8. Jimmy Olsen. Elastic Lad? The Wolf-Man of Metropolis? The Human Porcupine? Giant Turtle Man? 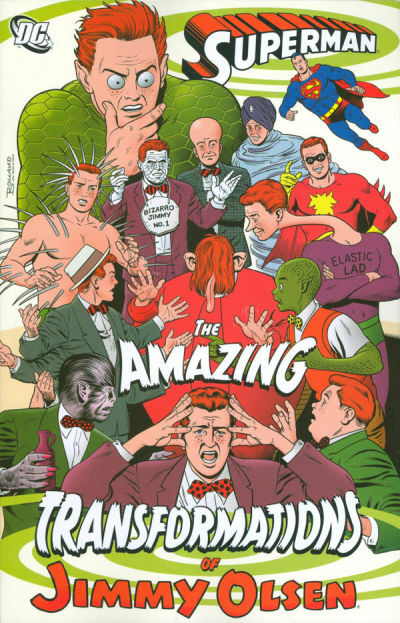 From the late 1950s through the 1960s, cub reporter Jimmy Olsen found himself the victim of many startling and outlandish transformations that threatened the well being of Metropolis. In Superman: The Amazing Transformations of Jimmy Olsen, creators Curt Swan, Alvin Schwartz, Cary Bates and others deliver some memorable and light-hearted adventures of everyone’s favorite photojournalist. 9. Bigby Wolf. Once the villainous werewolf who terrorized the Three Little Pigs, the Big Bad Wolf reformed his insidious ways and became Bigby — the sheriff of Fabletown. 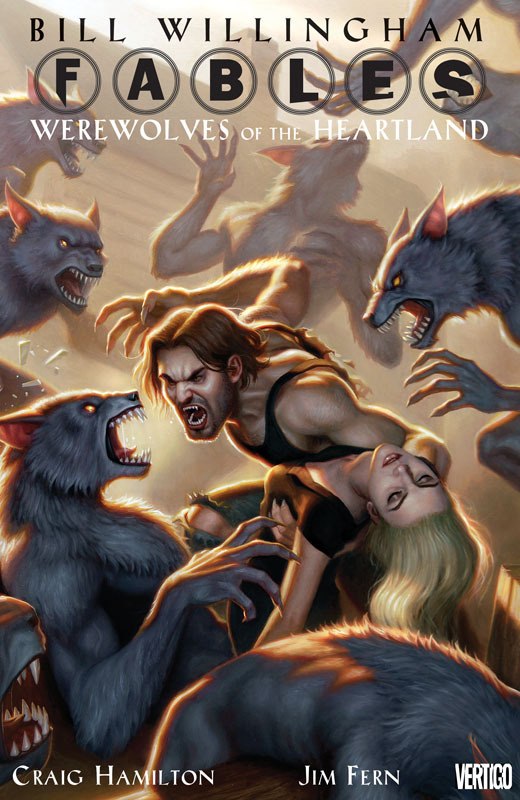 In the storyline Fables: Werewolves of the Heartland by Bill Willingham, Craig Hamilton and Jim Fern, Bigby stumbles upon a small town occupied only by Nazi werewolves. This multidimensional graphic novel is littered with sociopolitical overtones and subtle allusions to the nature of fascism. It is a great entry point for new readers and a MUST for longtime fans of Fables. 10. Man-Thing. In an effort to recreate the Super-Soldier Serum that created Captain America, Dr. Theodore Sallis soon finds himself ambushed by terrorists. 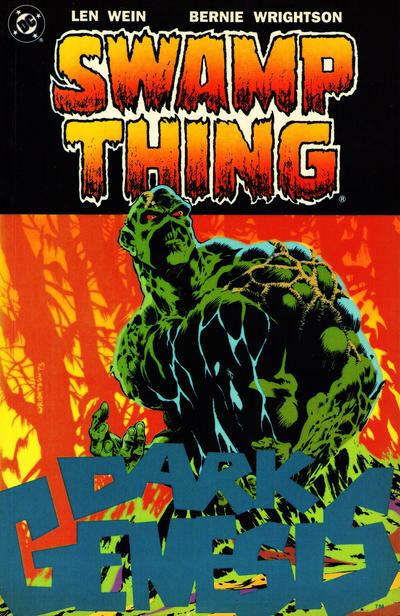 In an effort to escape, Sallis crashes his car into a swamp, where his body merges with samples of the formula and the mystic powers of the Everglades, transforming him into a grotesque monster. Unable to speak, and with dim memories of his previous life, he attacks the ambushers and then wanders away into the swamp. 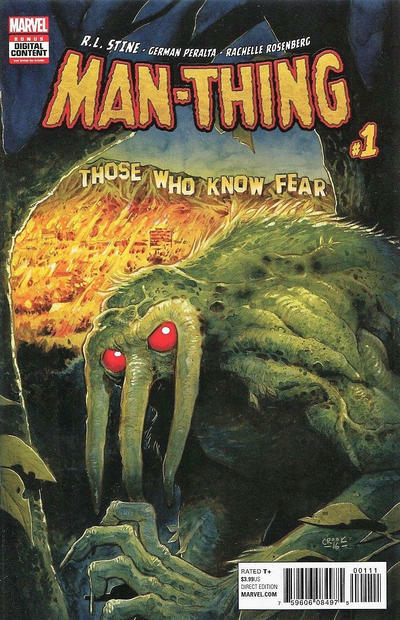 In Man-Thing: Those Who Know Fear, Goosebumps author R.L. Stine restores Sallis’ voice and his memories and the consequences are profound. 11. She-Hulk. After a life-saving blood transfusion from cousin Bruce Banner, lawyer Jennifer Walters finds herself transformed into the savage She-Hulk. Under the guidance of John Byrne, Dan Slott and Peter David, Jen has experienced some sensational adventures both in and out of the courtroom, but one of the most transformative takes was under the direction of Charles Soule and Javier Pulido. 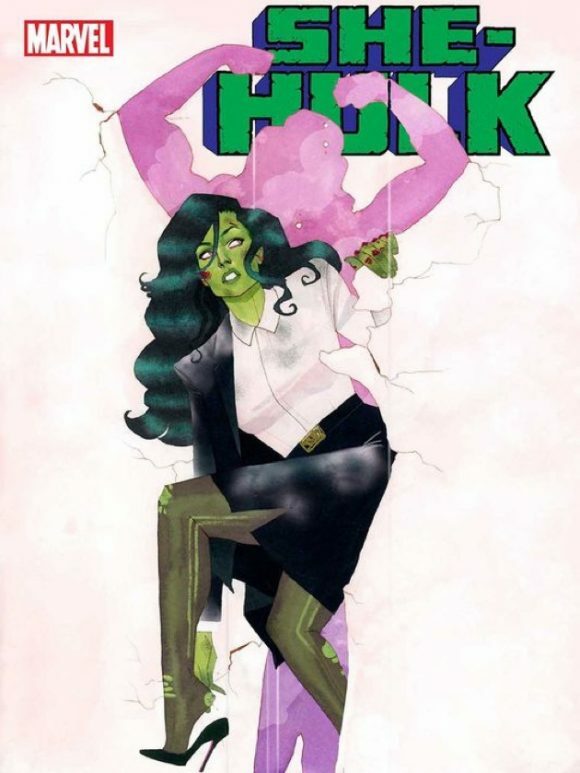 In She-Hulk: Law and Disorder, someone important to the jade giantess is murdered and She-Hulk finds herself in the role of the defendant! 12. Beast Boy. As a child, Garfield Logan was bitten by a monkey and contracted a serious illness called Sakutia. To save his life, his father used an untested serum to change him into a West African green monkey for 24 hours, so that the virus could die out. The serum had the unintended effect of turning Garfield’s skin, eyes and hair green, and granting him the ability to morph into any animal of his choice. 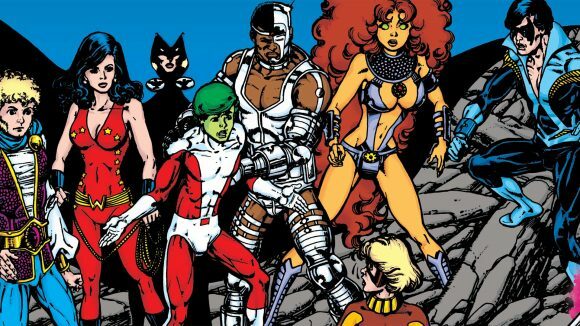 Taking the name Beast Boy and, later, Changeling, he eventually joined the Teen Titans. In The Judas Contract, by Marv Wolfman and George Perez, Garfield is startled to learn that his new girlfriend might actually be a super-villain. With shocking revelations and twists, this story transformed the DC Universe and should be a quintessential part of your graphic novel library. 13. Batman: Red Rain. Investigating a series of murders of Gotham’s homeless, Batman discovers that vampires, led by Dracula, are responsible for the gruesome deaths. 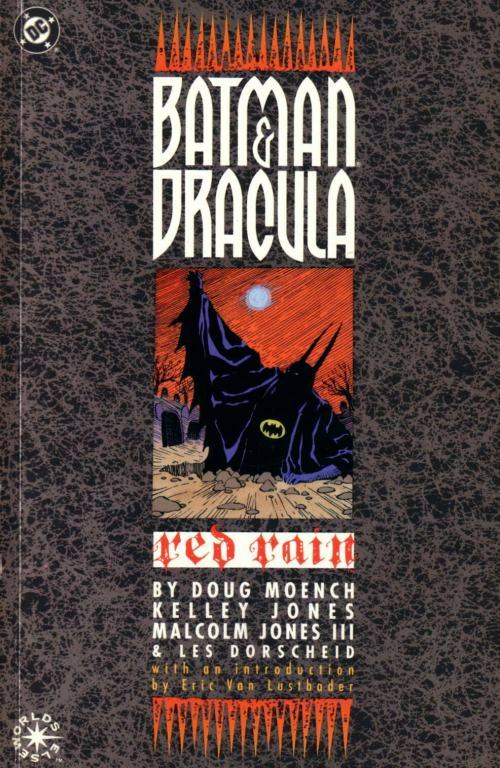 This sinister story by Doug Moench and Kelley Jones illustrates just how easy it can be for evil to infiltrate our lives and transform us into monsters. I’d be remiss if I didn’t mention our own werewolf western series High Moon. Set at the dawn of the Industrial Revolution, it’s the story of Matthew Macgregor — an unchanging man in a changing time, forced with the life-altering decision to either live like a beast, or die like a man. Attending New York Comic Con? Visit the Bottled Lightning booth at #R7 in Artist Alley to pick up your copy of High Moon: Bullet Holes and Bites Marks before its release date on 10/24. And be sure to join me at the Comic Book Fan All-Star Trading Card photo booth on 10/5 from 3-4 pm at the Comixology Booth #1E in Artist Alley. It’s your chance to take a picture with me and talk about your favorite stories.